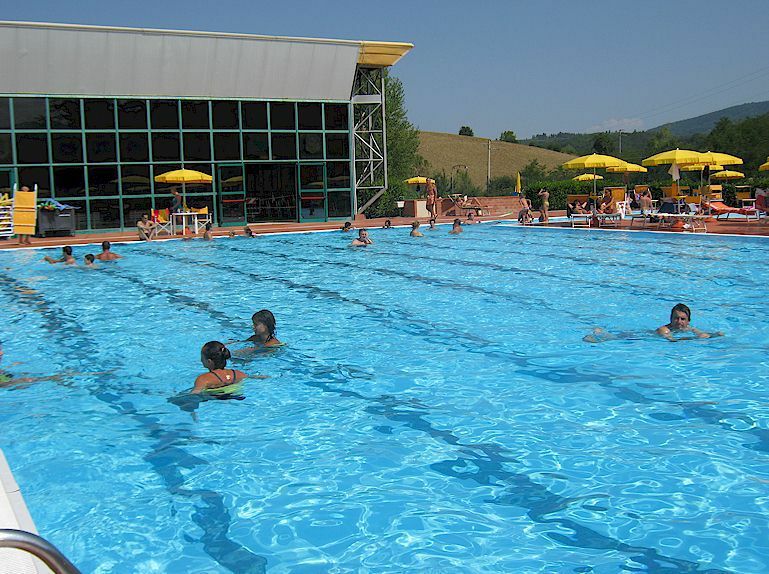 Greve in Chianti is provided with an excellent public swimming pool complex consisting of two outdoor pools and two indoor pools, plus tennis courts. 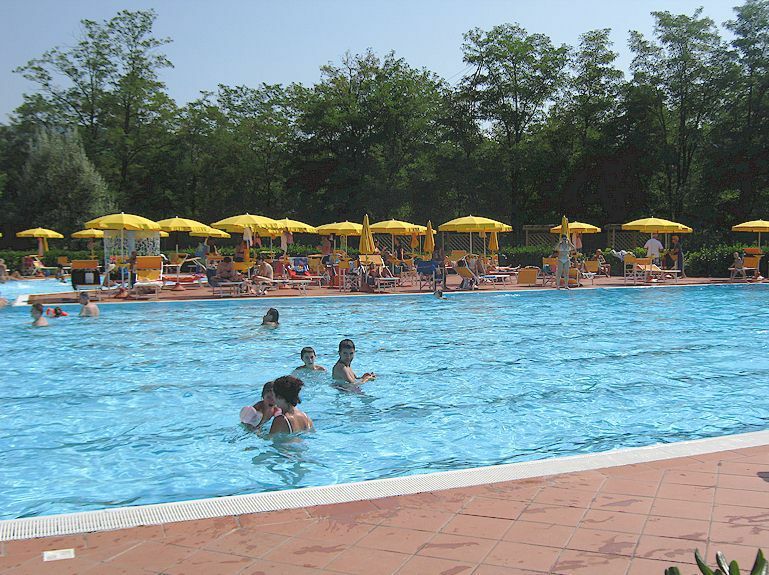 The two outdoor pools include one for small children. The indoor pools are reserved for swimming clubs and swimming lessons. 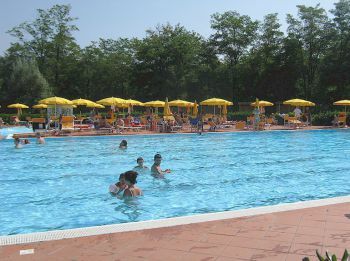 The pools are exceptionally well kept and are definitely recommended for those who have no pool at their accommodation. 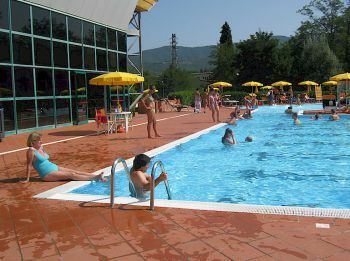 Entry currently costs 6 euros (5 euros for children between 5 and 9 years old, and for those over 65). There is a small additional fee for use of sun umbrellas and chairs. 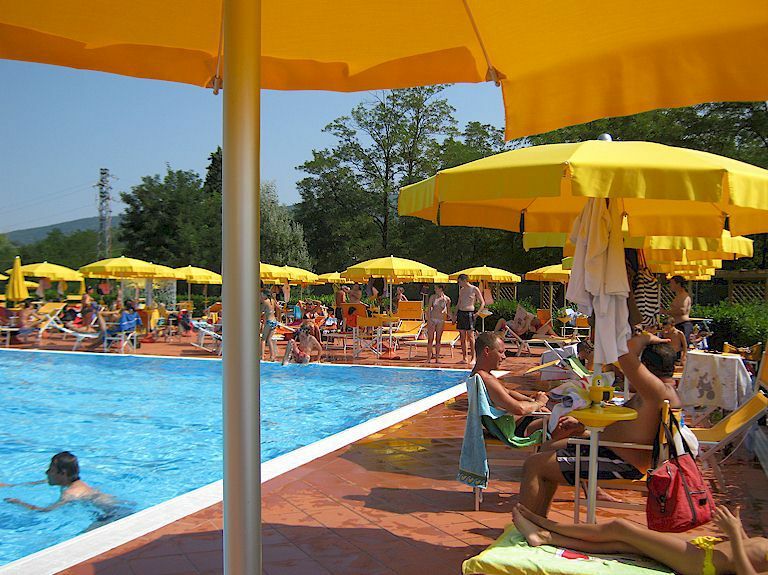 Tennis courts may also be rented.